The special Santa Claus holiday postmark is available at the Santa Claus Post Office until December 24, 2018. This famous small-town post office is the only one in the world with the Santa Claus name and receives over 400,000 pieces of mail in December. 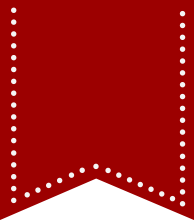 The Santa Claus Post Office has offered the special postmark every holiday season since 1983. 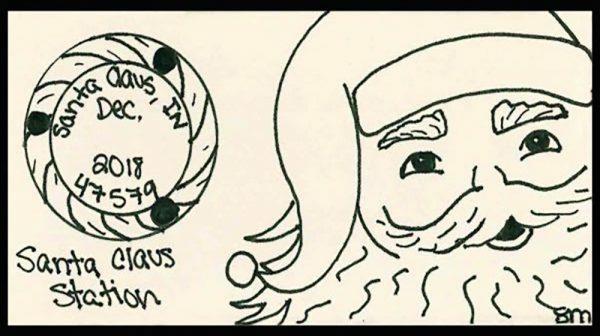 Each year, a local high school student designs the special picture postmark for use on Christmas cards and other mail from the Santa Claus Post Office during the holiday season. The 2018 postmark is available only in Santa Claus, Indiana, on working days between December 1 and December 24. Those interested in getting the special cancellation on their holiday mail can find the guidelines here. America’s Christmas Hometown: Santa Claus, Indiana, will host a celebration of family fun on the first three weekends of December. Santa Claus Christmas Celebration events include Chestnuts Roasting on an Open Fire, Christmas Dinner with Santa, Writing a Letter to Santa, and more each weekend. In addition, special events include Dancer’s Dash 5K on December 2, Santa Claus Arts & Crafts Show and Santa Claus Christmas Parade on December 8, and the Christmas Lake Village Festival of Lights on December 8 and 15. Find details about all upcoming events at SantaClausInd.org/Events. For more information about the Santa Claus Christmas Celebration and holiday packages, call (888) 444-9252 or visit SantaClausInd.org/Christmas.